Mr first came to St Vincent’s Hospital in 1981 as a neurosurgical trainee. 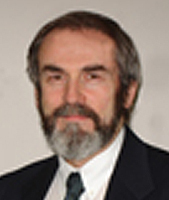 After completion of his training and post-graduate experience at the London Hospital, he returned as a consultant neurosurgeon at St Vincent’s Hospital in 1985. He has since developed expertise in a number of sub-specialty areas in neurosurgery in particular the surgical management of pituitary region tumours including craniopharyngioma and meningiomas causing visual pathway compression. In the management of pituitary tumours, Mr McNeill has collaborated with many of Melbourne’s leading endocrinologists from a variety of institutions. He has extensive experience in the surgery of hormonally active tumours such Acromegaly and Cushing’s Disease. An additional major interest over this time has been the surgery of acoustic neuromas in which he has collaborated with Mr Jack Kennedy and has extensive experience in the surgery particularly of large tumours with excellent results in facial nerve preservation. Another area of specialist expertise has been functional neurosurgery, which deals with various movement disorders such as Parkinson’s Disease and essential tremor. In this, Mr McNeill collaborates predominantly with Dr Richard Peppard who is a renowned neurologist with special interest in movement disorders. Referrals with respect to movement disorder surgery are taken only from specialist neurologists.